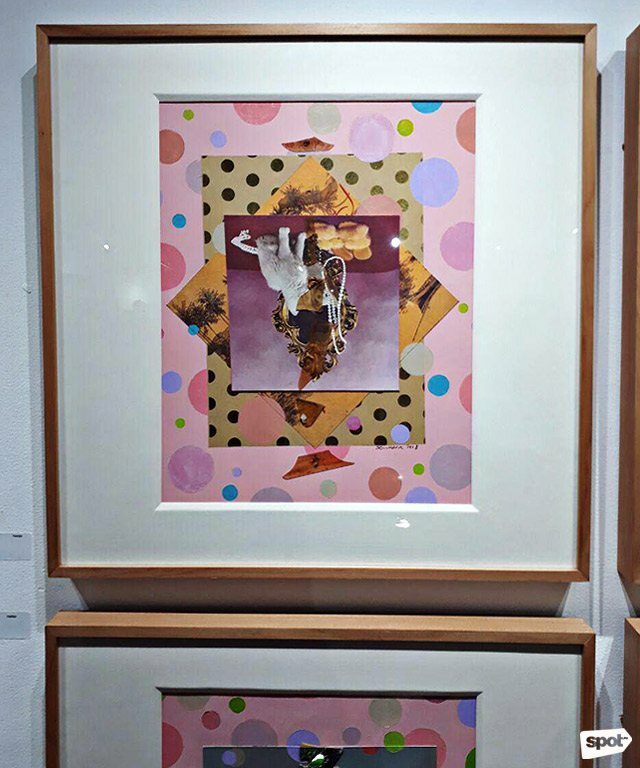 (SPOT.ph) Since its inception in 2013, the annual launch of Art Fair Philippines has been met with much anticipation from long-time collectors and newbie art enthusiasts alike. It’s little wonder—the fair’s exhibitors and their expertly curated pieces are complemented by a venue that’s edgily accessible. 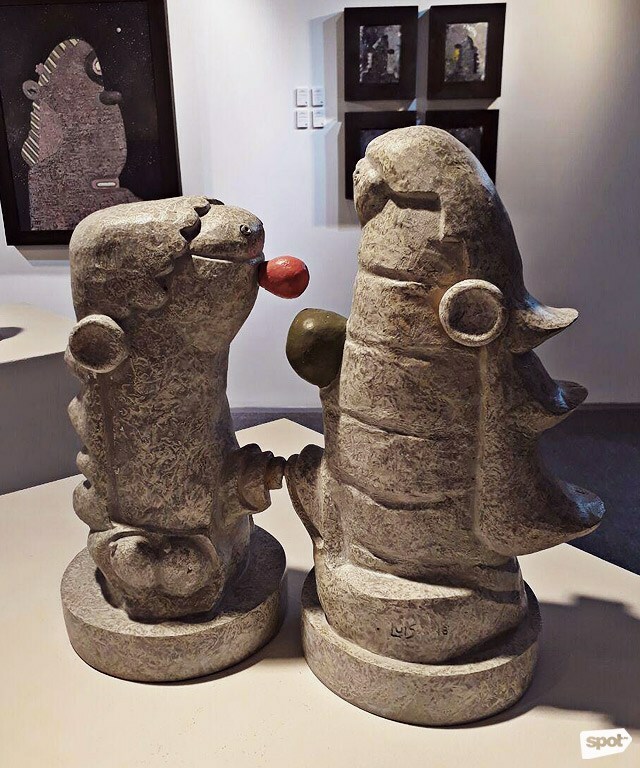 The 2018 edition is no different, featuring artists like Kidlat Tahimik and Lyra Garcellano and hard-to-miss pieces like a survey of Arturo Luz's drawings from the 1960s at Salcedo Private View, Nilo Ilarde's Hot Wheels miniature cars-turned-into-art, and social realist artworks by the Triad (Pablo Baen Santos, Renato Habulan, and Antipas Delotavo). We’re pretty sure you’ll be checking out the special exhibits, so we went in search of some not-so-obvious treasures you might overlook. Here are 10 of them. Quirky yet somehow sedate, Luis Lorenzana's new collection is a radical departure from his early works. While the paintings are sure to catch your eye, the toys—as Secret Fresh calls them—are charmingly low-key. 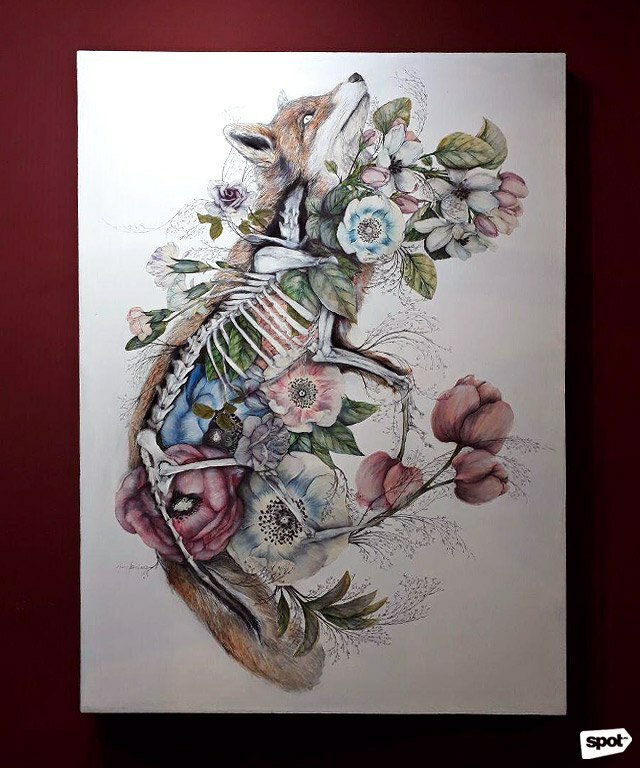 Described as an Italian artist and anatomist, Nunzio Paci creates works that are whimsical representations of birth and decay. Playful is the first word that comes to mind, and you'll find plenty of humor in this series by the Sydney-based Juni Salvador. Whether you can picture them on your walls or not, they're sure to spark some very interesting conversations. 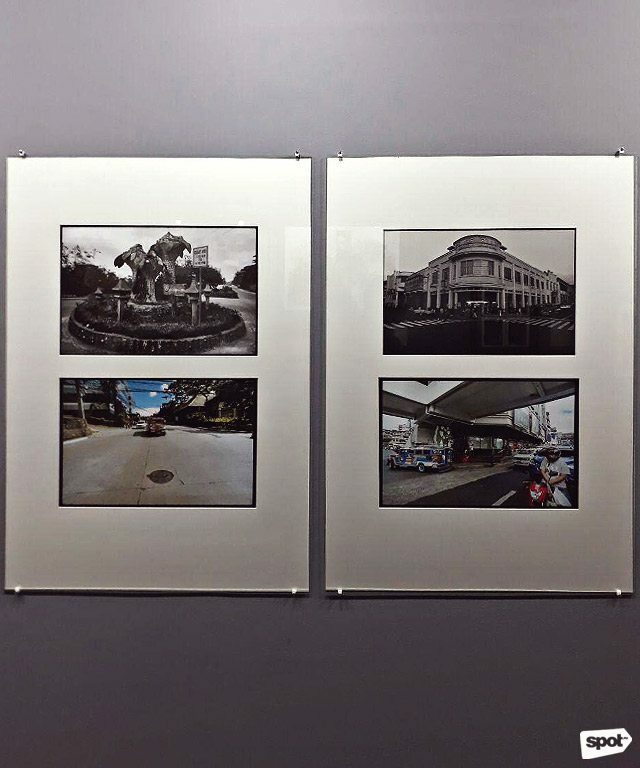 This series of photos shows areas of Baguio, shot the way they were in the past and the way they are now—which photo you think looks better is up to you. 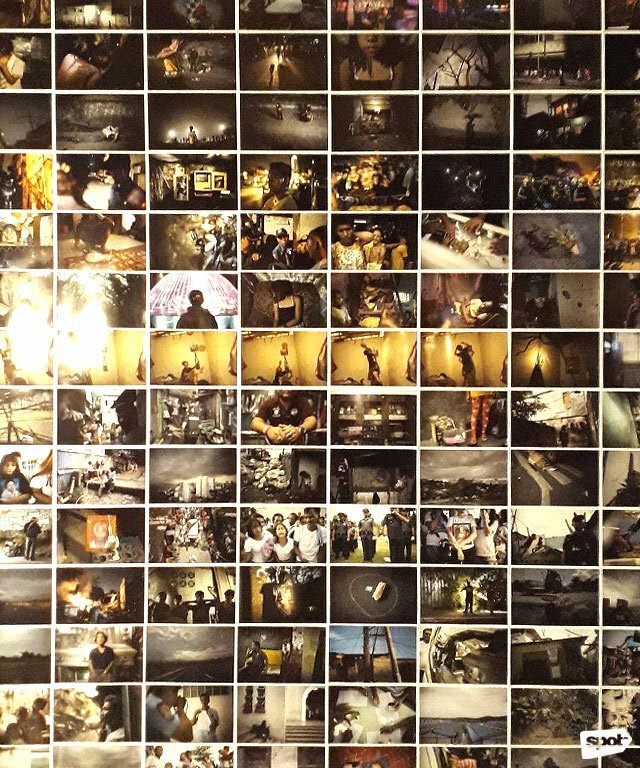 Featuring 660 photos by Carlo Gabuco, music by Juan Miguel Sobrepeña, and lighting design by Lyle Sacris, this exhibit as a whole is a sobering, immersive, and eerie experience that will leave its impact on you long after you've left the fair. 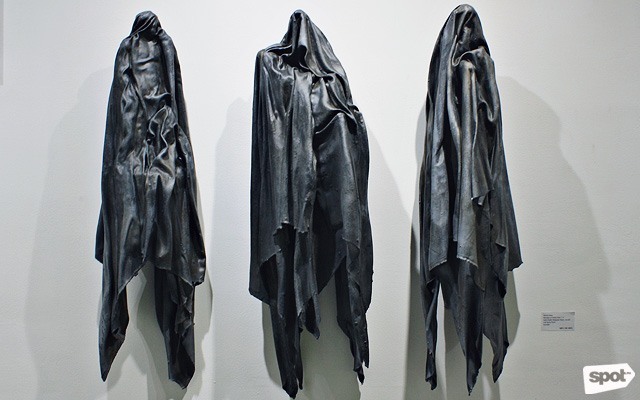 Dennis Bato's piece made of satin cloth and polyester resin may be haunting to look at, but it is this poignancy that draws viewers in. "Mantles of Times Past 1-3" seems to be the perfect piece to cue an existential crisis. 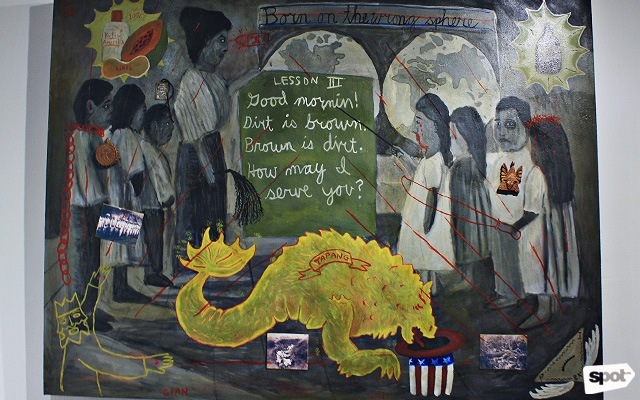 In this evocative piece, Cian Dayrit portrays the period of American colonization when education was used as a tool to further their agenda. 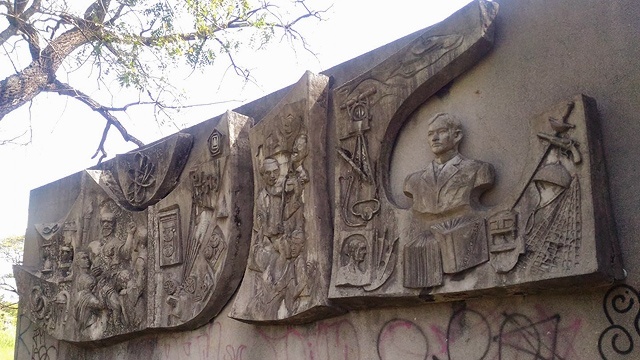 Images of whitening products, a Filipino in shackles, and Uncle Sam's hat shows how this part of our history influences our present-day situation. 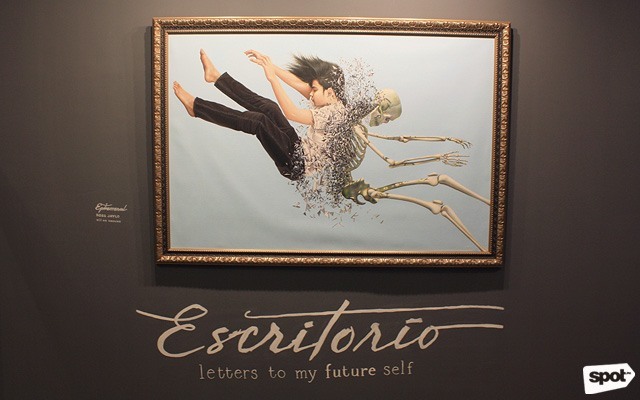 Part of Canvas' Escritorio: Letters to My Future Self, "Ephemeral" reminds us of the futility of birth and death—how the two are back-to-back (literally), leaving only a fleeting moment to live. 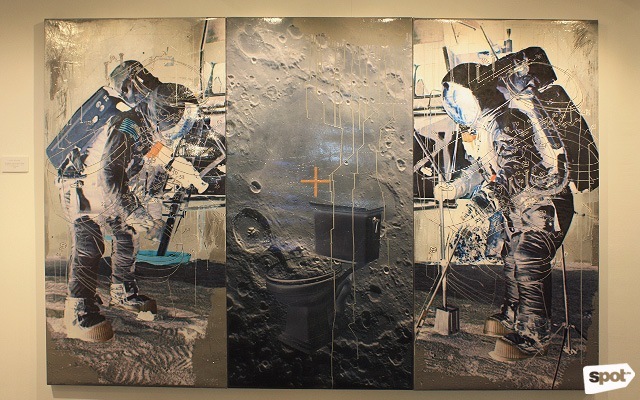 Antonio Catral Leano's solo exhibition, Fossils, explores man's place and purpose in the universe. In "In Search for the Holy Grail," he playfully depicts the toilet as humanity's possible endpoint should all this foolishness continue. The phrase has become part of everyday talk since the President declared a "state of lawlessness" following a bomb attack in Davao City in 2016. With this fiberglass sculpture, Anton Del Castillo portrays the irony of chaos despite what seems to be an easy solution to ensuing violence. 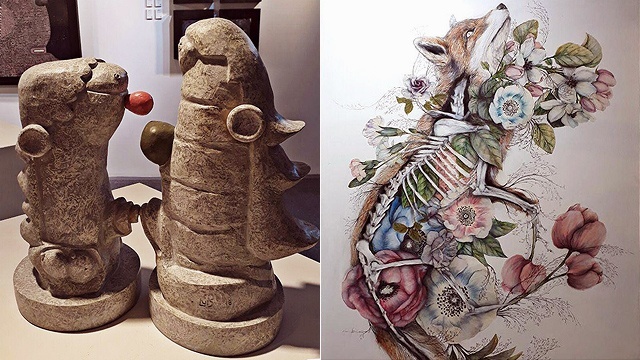 Art Fair Philippines 2018 runs from March 1 to 4 at The Link, Parkway Drive, Ayala Center, Makati City. 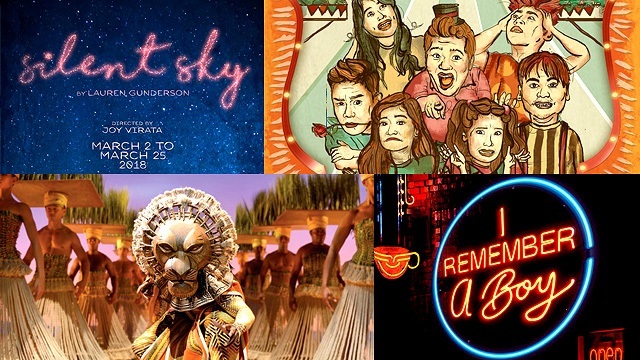 Tickets, priced at P350, are available through Art Fair Philippines' website.